An historic interfaith covenant was signed in the Middle East on Monday, and the mainstream media in the United States has been almost entirely silent about it. Faith leads a believer to see in the other a brother or sister to be supported and loved. Through faith in God, who has created the universe, creatures and all human beings (equal on account of his mercy), believers are called to express this human fraternity by safeguarding creation and the entire universe and supporting all persons, especially the poorest and those most in need. This transcendental value served as the starting point for several meetings characterized by a friendly and fraternal atmosphere where we shared the joys, sorrows and problems of our contemporary world. We did this by considering scientific and technical progress, therapeutic achievements, the digital era, the mass media and communications. We reflected also on the level of poverty, conflict and suffering of so many brothers and sisters in different parts of the world as a consequence of the arms race, social injustice, corruption, inequality, moral decline, terrorism, discrimination, extremism and many other causes. From our fraternal and open discussions, and from the meeting that expressed profound hope in a bright future for all human beings, the idea of this Document on Human Fraternity was conceived. It is a text that has been given honest and serious thought so as to be a joint declaration of good and heartfelt aspirations. 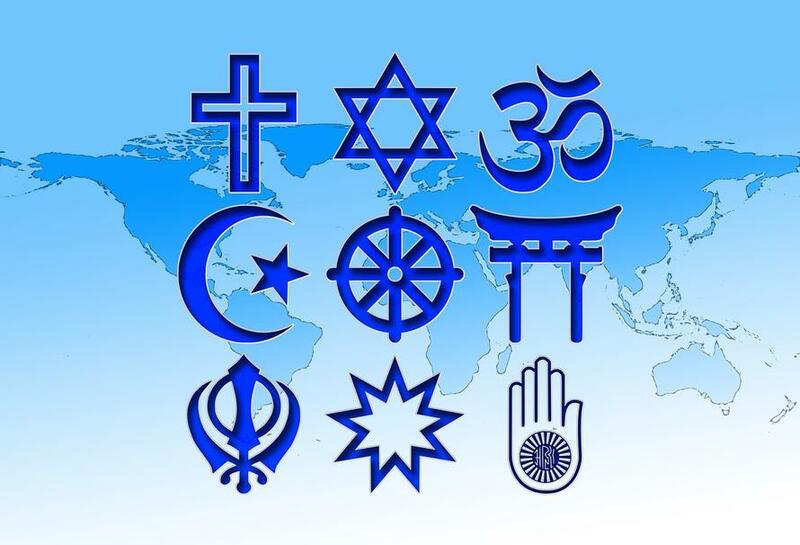 It is a document that invites all persons who have faith in God and faith in human fraternity to unite and work together so that it may serve as a guide for future generations to advance a culture of mutual respect in the awareness of the great divine grace that makes all human beings brothers and sisters. In the name of God and of everything stated thus far; Al-Azhar al-Sharif and the Muslims of the East and West, together with the Catholic Church and the Catholics of the East and West, declare the adoption of a culture of dialogue as the path; mutual cooperation as the code of conduct; reciprocal understanding as the method and standard. We call upon intellectuals, philosophers, religious figures, artists, media professionals and men and women of culture in every part of the world, to rediscover the values of peace, justice, goodness, beauty, human fraternity and coexistence in order to confirm the importance of these values as anchors of salvation for all, and to promote them everywhere. This Declaration, setting out from a profound consideration of our contemporary reality, valuing its successes and in solidarity with its suffering, disasters and calamities, believes firmly that among the most important causes of the crises of the modern world are a desensitized human conscience, a distancing from religious values and a prevailing individualism accompanied by materialistic philosophies that deify the human person and introduce worldly and material values in place of supreme and transcendental principles. While recognizing the positive steps taken by our modern civilization in the fields of science, technology, medicine, industry and welfare, especially in developed countries, we wish to emphasize that, associated with such historic advancements, great and valued as they are, there exists both a moral deterioration that influences international action and a weakening of spiritual values and responsibility. All this contributes to a general feeling of frustration, isolation and desperation leading many to fall either into a vortex of atheistic, agnostic or religious extremism, or into blind and fanatic extremism, which ultimately encourage forms of dependency and individual or collective self-destruction. History shows that religious extremism, national extremism and also intolerance have produced in the world, be it in the East or West, what might be referred to as signs of a “third world war being fought piecemeal”. In several parts of the world and in many tragic circumstances these signs have begun to be painfully apparent, as in those situations where the precise number of victims, widows and orphans is unknown. We see, in addition, other regions preparing to become theatres of new conflicts, with outbreaks of tension and a build-up of arms and ammunition, and all this in a global context overshadowed by uncertainty, disillusionment, fear of the future, and controlled by narrow-minded economic interests. We likewise affirm that major political crises, situations of injustice and lack of equitable distribution of natural resources – which only a rich minority benefit from, to the detriment of the majority of the peoples of the earth – have generated, and continue to generate, vast numbers of poor, infirm and deceased persons. This leads to catastrophic crises that various countries have fallen victim to despite their natural resources and the resourcefulness of young people which characterize these nations. In the face of such crises that result in the deaths of millions of children – wasted away from poverty and hunger – there is an unacceptable silence on the international level. It is clear in this context how the family as the fundamental nucleus of society and humanity is essential in bringing children into the world, raising them, educating them, and providing them with solid moral formation and domestic security. To attack the institution of the family, to regard it with contempt or to doubt its important role, is one of the most threatening evils of our era. We affirm also the importance of awakening religious awareness and the need to revive this awareness in the hearts of new generations through sound education and an adherence to moral values and upright religious teachings. In this way we can confront tendencies that are individualistic, selfish, conflicting, and also address radicalism and blind extremism in all its forms and expressions. The first and most important aim of religions is to believe in God, to honour Him and to invite all men and women to believe that this universe depends on a God who governs it. He is the Creator who has formed us with His divine wisdom and has granted us the gift of life to protect it. It is a gift that no one has the right to take away, threaten or manipulate to suit oneself. Indeed, everyone must safeguard this gift of life from its beginning up to its natural end. We therefore condemn all those practices that are a threat to life such as genocide, acts of terrorism, forced displacement, human trafficking, abortion and euthanasia. We likewise condemn the policies that promote these practices. Moreover, we resolutely declare that religions must never incite war, hateful attitudes, hostility and extremism, nor must they incite violence or the shedding of blood. These tragic realities are the consequence of a deviation from religious teachings. They result from a political manipulation of religions and from interpretations made by religious groups who, in the course of history, have taken advantage of the power of religious sentiment in the hearts of men and women in order to make them act in a way that has nothing to do with the truth of religion. This is done for the purpose of achieving objectives that are political, economic, worldly and short-sighted. We thus call upon all concerned to stop using religions to incite hatred, violence, extremism and blind fanaticism, and to refrain from using the name of God to justify acts of murder, exile, terrorism and oppression. We ask this on the basis of our common belief in God who did not create men and women to be killed or to fight one another, nor to be tortured or humiliated in their lives and circumstances. God, the Almighty, has no need to be defended by anyone and does not want His name to be used to terrorize people. – The protection of the rights of the elderly, the weak, the disabled, and the oppressed is a religious and social obligation that must be guaranteed and defended through strict legislation and the implementation of the relevant international agreements. To this end, by mutual cooperation, the Catholic Church and Al-Azhar announce and pledge to convey this Document to authorities, influential leaders, persons of religion all over the world, appropriate regional and international organizations, organizations within civil society, religious institutions and leading thinkers. They further pledge to make known the principles contained in this Declaration at all regional and international levels, while requesting that these principles be translated into policies, decisions, legislative texts, courses of study and materials to be circulated. Al-Azhar and the Catholic Church ask that this Document become the object of research and reflection in all schools, universities and institutes of formation, thus helping to educate new generations to bring goodness and peace to others, and to be defenders everywhere of the rights of the oppressed and of the least of our brothers and sisters. this Declaration may be a sign of the closeness between East and West, between North and South, and between all who believe that God has created us to understand one another, cooperate with one another and live as brothers and sisters who love one another. This is what we hope and seek to achieve with the aim of finding a universal peace that all can enjoy in this life.